I am a big fan of fish or seafood cakes. 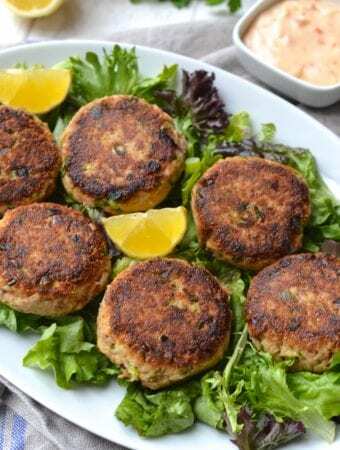 Already on this site I have recipes for everything from Asian Salmon Cakes and Lemon & Herb Salmon Burgers to Shrimp Burgers and Mini Crab Cakes. 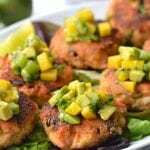 Although the names might be a bit different, when it comes down to it, they are all just fresh seafood, tossed with herbs and spices, formed into patties and pan-fried. 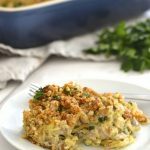 Unlike all of the above recipes, this one uses canned tuna making it the most economical of the bunch. 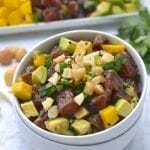 Canned tuna is a pantry staple in my kitchen, that I toss into salad at least ones a week. 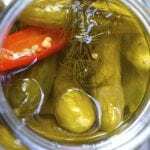 I personally prefer to use canned tuna in oil because I find that it is more moist and flavourful then the ones packed in water. 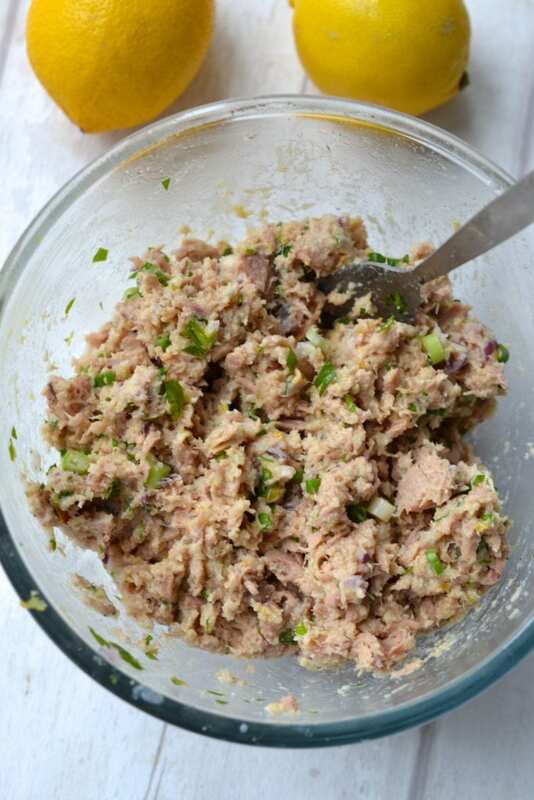 In this recipe the canned tuna is mixed with chopped red onion, scallions, lemon zest, parsley, mustard and egg. 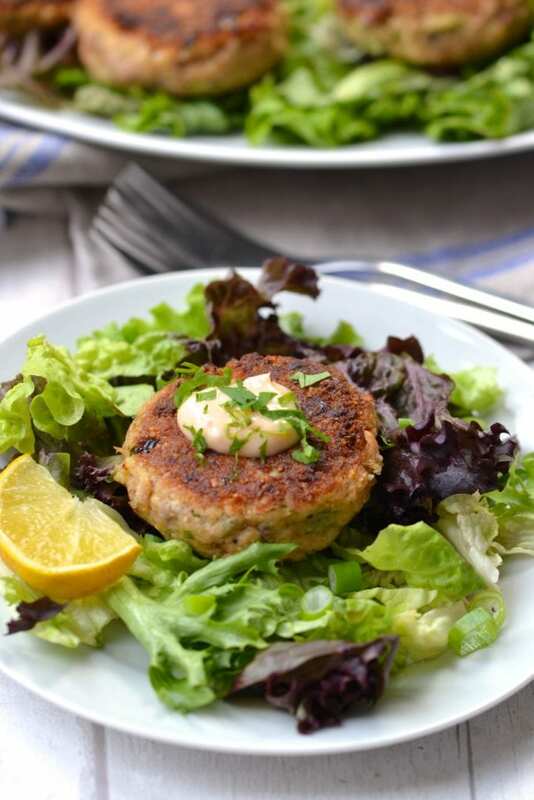 The flavours are really light and fresh which I think is required for any kind of fish cake that is pan-fried. 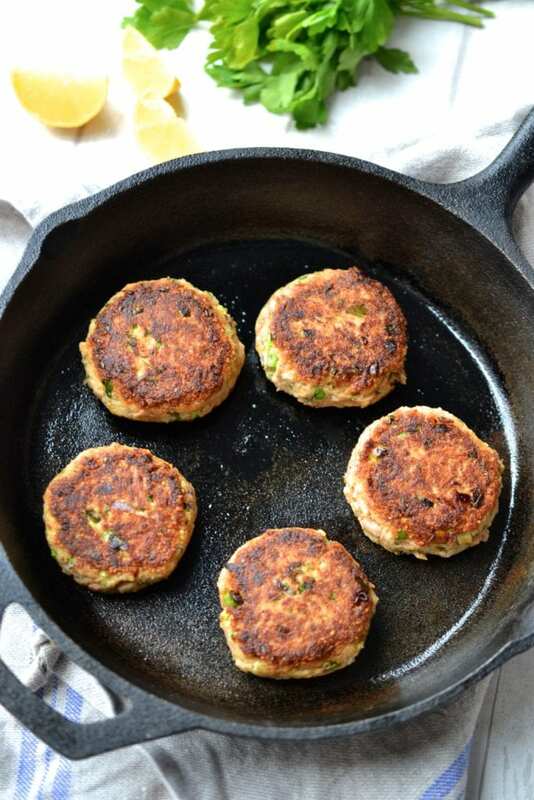 To ensure that these tuna cakes hold together when cooked, I recommend making them on the smaller side, using approximately a golf ball sized amount of the mixture per patty. You could also make bite sized patties and serve them as finger food. 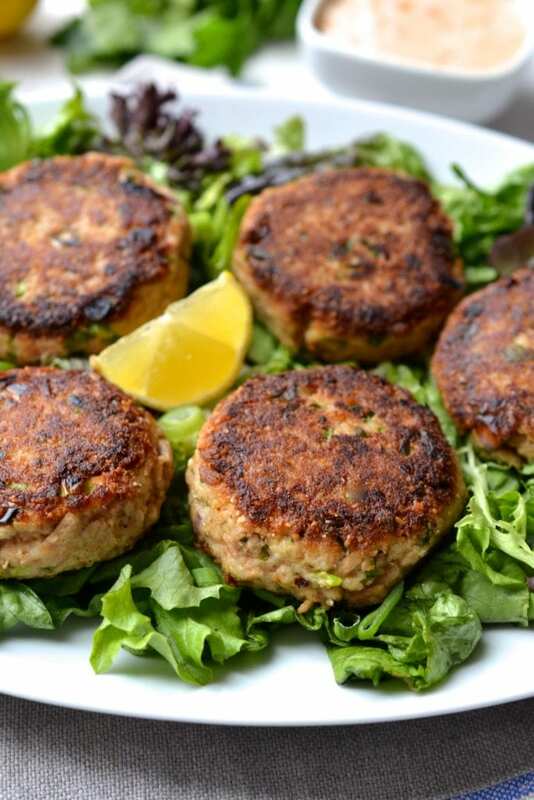 It also helps to chill the patties in the fridge for a minimum of 20 minutes to help them firm up before frying. When frying the patties, don’t move them around in the pan more then necessary. Allow one side to form a golden crust before flipping it over, and only flip them once. I’ve found that these are the best tricks to keep them from falling apart in the pan. 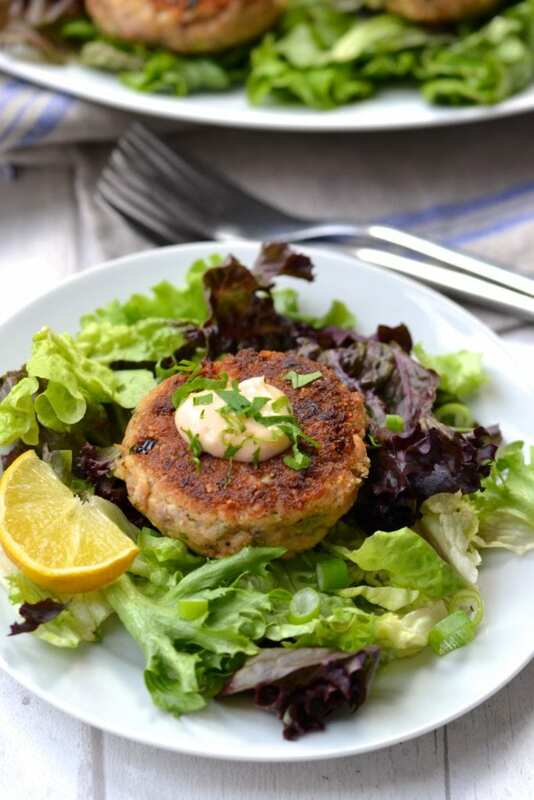 I like serving these tuna patties on a bed of lettuce, topped with a lemon aioli or red pepper sauce. 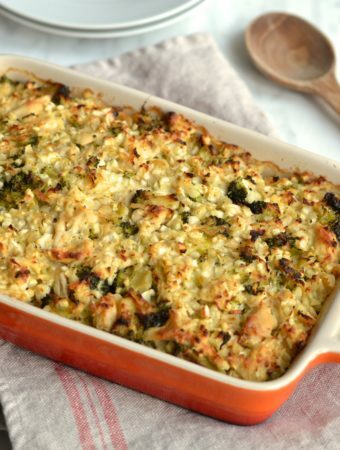 Leftovers are fantastic enjoyed warm or cold and will last for a few days in the fridge. Drain the liquid from the cans of tuna, reserving 1 tbsp of the liquid from the can. 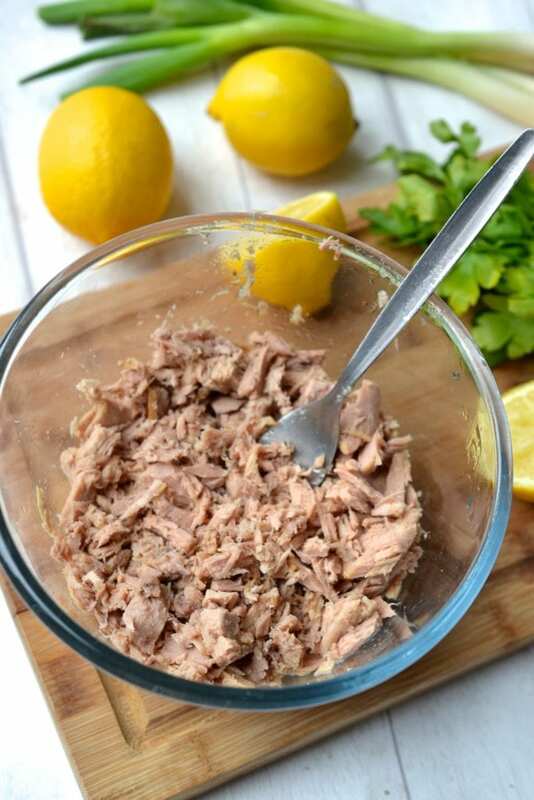 Add the tuna and reserved liquid to a bowl and break the tuna up with a fork. 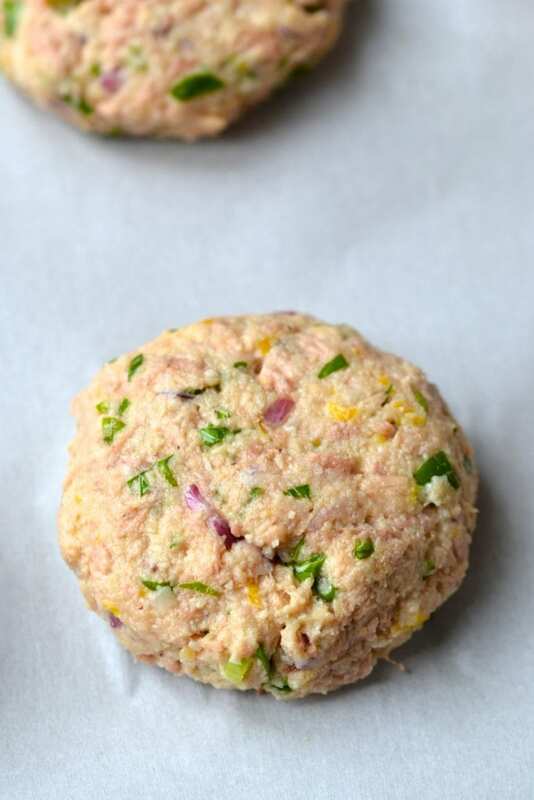 Add in the almond flour, chopped parsley, lemon juice and zest, red onion, scallions, mustard, egg, salt and pepper. Stir until well mixed and then taste. Adjust the seasoning as desired. 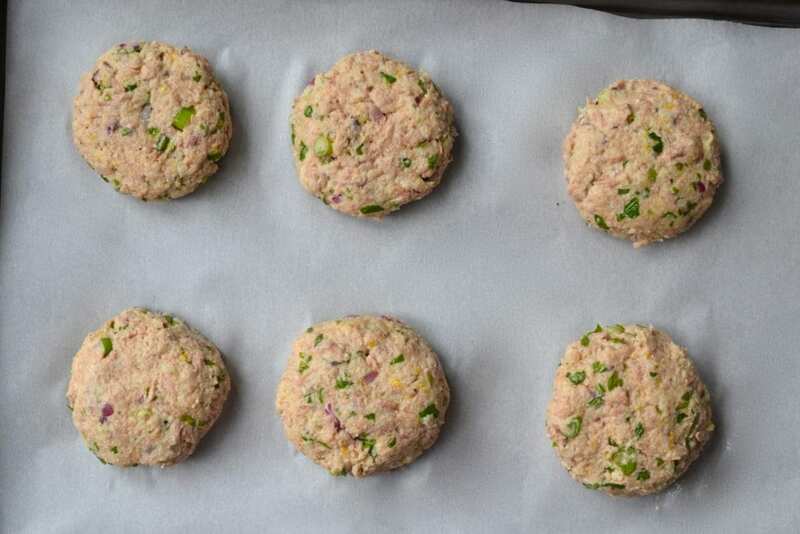 Form the mixture into 6 patties and place on a parchment paper lined plate or tray. 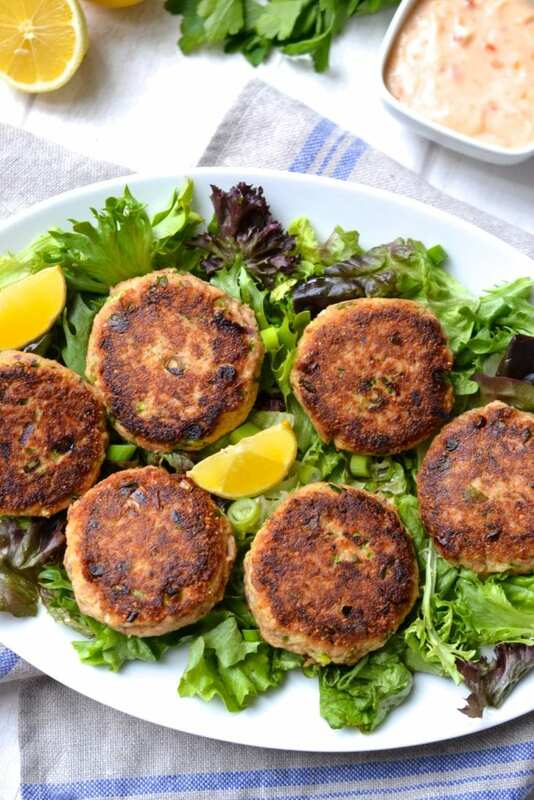 Place the patties in the fridge for a minimum of 20 minutes, chilling them will help them hold together when cooking. 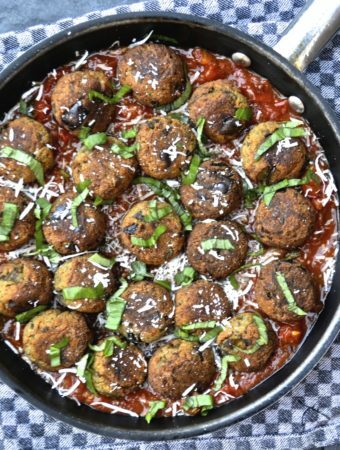 When ready to cook, place the olive oil in cast iron skillet on medium heat. Once hot add in the patties and let them cook for approximately 4 minutes until a golden crust forms. Flip and cook on the other side. 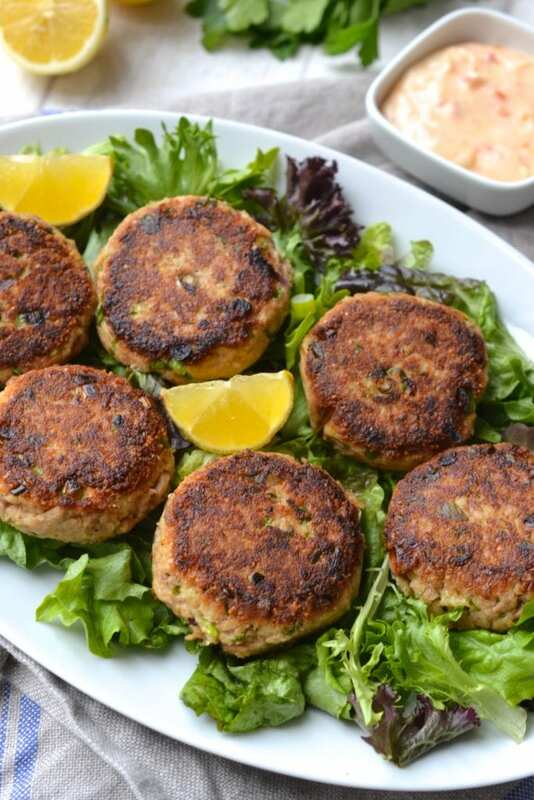 Serve the patties with lemon wedges and roasted red pepper sauce or lemon aioli. 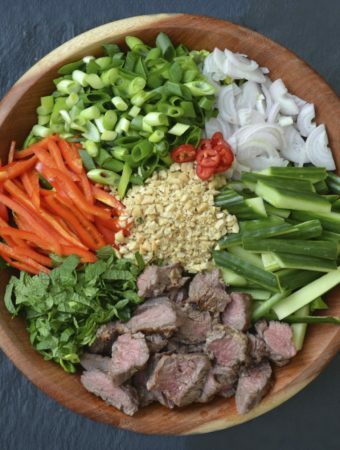 I would love to make this in my air fryer — have you tried that? And if so, any thoughts on what temp and how long? 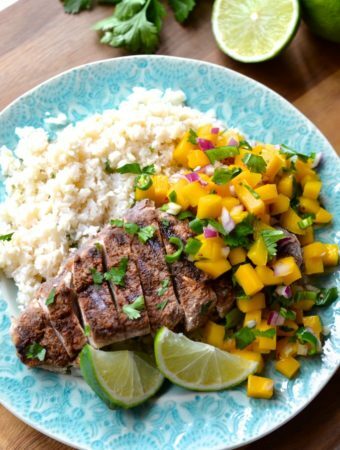 I love tuna and this recipe sounds lovely so thank you! Unfortunately I have absolutely no experience with an air fryer so I am not able to make any suggestions but I suspect it would work well. 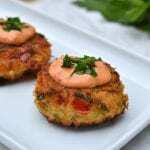 Just made these… for an easy inexpensive fish cake I thought they were great. Prefer the crab or salmon but I usually have can or two of tuna in the pantry. I did top it with the lemon aioli – nom! Thanks! 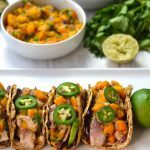 Also – thought you killed it on your whole30 takeover! The celery root taco shells… genius. Hi there! 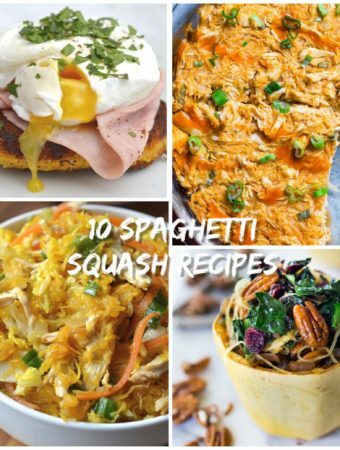 I would love to make these, but I am wondering if I can use coconut flour?